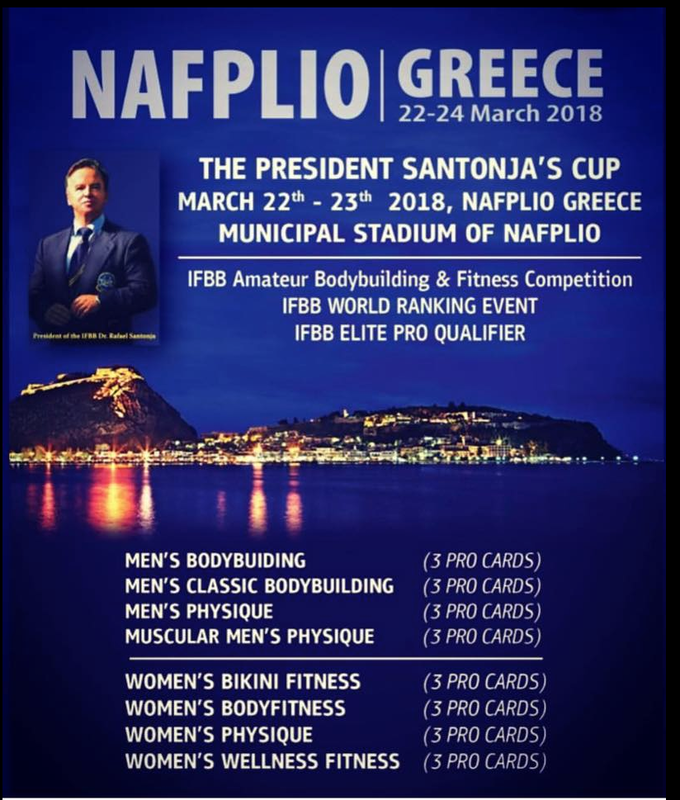 Reno Banks will become Britain's first male IFBB Elite Pro competitor at this weekend's €44,000 President Santonja's Cup in Greece. A good placing will help Reno secure points towards a place at this year's $200,000 World Championships in October. This weekend's two-day event is the first of 13 Elite Pro competitions taking place in Europe this year in locations such as Italy, Russia, Malta, Slovakia and Finland, as well as the invitation-only Arnold Classic Europe in Spain. The poster for this weekend's President Santonja's Cup. This year's Elite Pro calendar also takes in destinations such as Brazil, South Africa, Aruba, Canada, Cancun and Mongolia. The IFBB, which has federations in 197 countries, only formed the Elite Pro division late last year and it already has more than £1m prize money. Liz Richardson became the UK's first Elite Pro competitor when she competed at the Nordic Elite Pro in October. Now Reno, a dentist, will break new ground for the men. He said: “I feel blessed to be living my dream and competing alongside the best group of international athletes in my category. “Being the first male Elite Pro athlete brings added pressure of high expectations but I love challenges. Rus Ali, another classic competitor, will be competing in the Elite Pro qualifier. Many Elite Pro events include Elite Pro qualifiers.